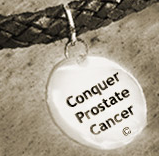 Prostate cancer, sexual intimacy and Thanksgiving are three terms that usually do not appear in the same sentence. But surely among the things many of us are most thankful for today are a supportive family and loving relationships with those closest to us. That's why a Thanksgiving intimacy-with-gratitude ritual, created by by my friend, Sarasota (Fl. )- based Tantra instructor Diana Dafner, resonated so strongly with me. While it was written to further intimacy between couples regardless of their health, in my mind it can benefit prostate cancer patients and survivors who suffer from ED and/or a reduced libido. Furthermore it's so beneficial you might want to pursue this year 'round. Once you read this (cited with permission), you too will be able to "transform your relationship into a love affair," as Diana succinctly put it. This evocative Thanksgiving ritual is culled from www.IntimacyRetreats.com, the Tantra website Diana maintains with her husband, Richard. This is a simple ceremony that can be done at any time on Thanksgiving. Before the relatives arrive, while they are there, or after they leave! It can be a heart-warming prelude to physical intimacy. Or this ceremony is also powerful performed as a stolen kiss, a few quick moments while the guests are busy elsewhere! It is helpful if both of you read these directions, but one of you can read it and explain to the other. What follows is a list of gratitude statements. Print them out or copy them. Cut the paper into strips, with each of the gratitude statements on separate pieces of paper. Fold the pieces of paper and place them in a pretty bowl or on a small silk cloth. Also have ready an empty bowl or another small cloth. When you are ready for the ceremony, bring yourselves and the bowls to a private room. If you have time, create a ceremonial atmosphere by lighting a candle and, if you like, some incense. Play soft, relaxing music. Flowers are nice. However, if you are stealing a moment in the midst of a busy day of guests, simply close the door to be alone. When you are ready to begin, stand facing each other. Relax and become aware of your breathing. Turn your bodies and faces toward each other and make eye contact. Silently muse on the fact that this person looking into your eyes right now is your lover, perhaps your spouse, your partner, perhaps the mother or father of your children. Perhaps you are new lovers. Regardless of any conflicts that may currently exist, you know that you love each other. Or you are exploring love. And you are ready to share and celebrate the truth and potential of that love. As you continue to silently gaze into each other's eyes, take at least two or three deep breaths. Then, one of you picks up a folded piece of paper. Look at the paper, and read the statement silently. Then, looking into your Beloved's eyes, say the statement aloud to him or her.Your partner responds by reaching out to take your hands, saying: I love you. Continuing eye contact and handholding, after taking a relaxing breath, your partner repeats the same gratitude statement back to you. You respond: I love you. After another breath or two, you separate, each of you placing your own hands palms together (prayer position) and holding them in front of your own heart center (center of your chest area). Continuing eye contact, you bow slightly to each other! Bowing this way honors the godself in one another, the heart of who we are. Place the paper in the empty bowl. The second person then takes a new gratitude statement and the same procedure is followed. Feel free to change the words or add your own. Be open to feelings of love and tenderness. By participating in ceremony, you are creating a powerful field of intentional energy. Become aware of this larger space that the two of you share. This is an expanded dimension, a place where love exists without struggle. You can do this ceremony using only one or two statements, or you can do all of the statements at one time. If you spend only one minute each day in ceremonial gratitude, your lives - and your love life - will change forever. Thank you for looking into my eyes. Thank you for being here with me right now. Thank you for being present. Thank you for warming my heart. Thank you for allowing me to love you. Thank you for allowing me to be me. Thank you for growing with me. Thank you for touching me.